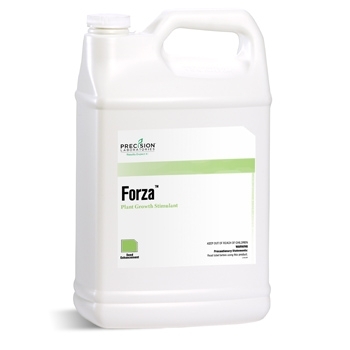 Forza is a seed treatment containing organic and amino acids that stimulate key performance-related signaling systems within the plant. Physiological factors influenced include the respiratory cycle, nutrient uptake metabolism and amino acid biosynthesis. Application is best performed through commercial seed-treating equipment. Soybeans: 0.158 mg/seed or .75 fl. oz. per 140,000 seeds.